The NFL has received scathing criticism for their rash of rough the passer penalties thus far. 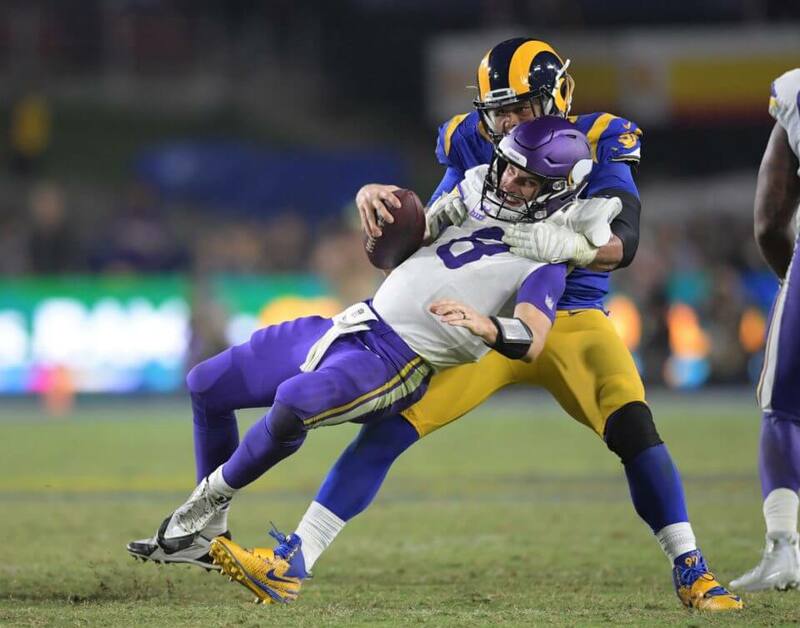 Aaron Donald admits it has made sacking quarterbacks much more difficult. Needless to say, there is certainly plenty of truth to Donald’s comments. Players and fans alike have not been shy about expressing their disdain for the new rule. Even quarterbacks have criticized it for its unrealistic criteria. There have already been a few notable games this year that were decided on a questionable roughing call. Not only has the rule resulted in games being unfairly decided, but it has also opened the gate to more severe injuries. The NFL suffered their first casualty of the new rule when William Hayes suffered a torn ACL while trying to avoid landing on Derek Carr. Hayes’ injury has raised further speculation regarding the league’s alleged lack of interest in protecting defensive players. Donald has already experienced his first brush with the rule when he was penalized for sacking Carr too low in the season opener. Fortunately, he has managed to find a way to get his sacks without a flag after a stellar outing versus the Minnesota Vikings in Week 4. Regardless, it will still be interesting to see if NFL officials continue to throw the flags as willingly as they have.